Escape rooms have been taking off in popularity recently, but Nintendo is the last company I would expect to jump on that bandwagon. However, here we are in 2016, and Nintendo has announced plans to take a Legend of Zelda themed escape room nationwide in conjunction with SCRAP. Nintendo also provided a list of early dates and locations below. What's an escape room, and why The Legend of Zelda? Escape rooms are exactly what they sound like. A group of people are locked in a room and are tasked with escaping within a certain time limit. To open the door, they'll have to feel around for certain puzzles and solve them if they want the key to freedom. Of course, this fits in naturally with The Legend of Zelda, because the franchise has always been about solving puzzles, looking for keys, and navigating dark dungeons. 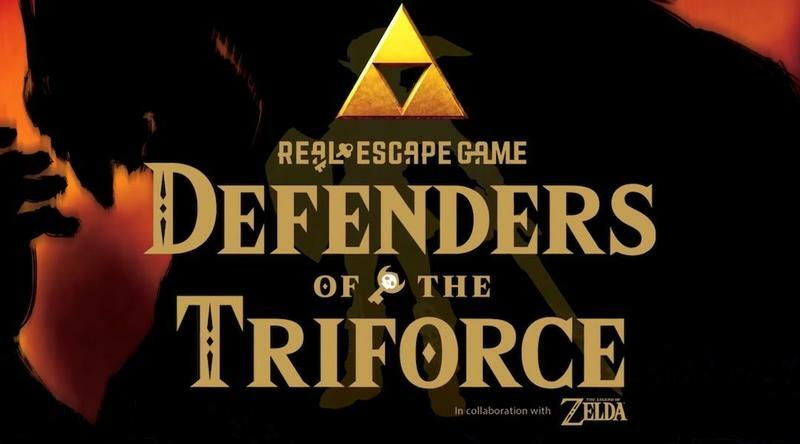 This "Defenders of the Triforce" promises to fully incorporate the franchise's popular lore while SCRAP writes and designs a scenario for its creation. Hopefully, the tour will wrap itself up just in time for people to pick up The Legend of Zelda: Breath of the Wild in March. However, recent rumors point towards a delay, so pretending to be Link in an escape room is probably the closest anyone will get to the actual franchise until later this summer.